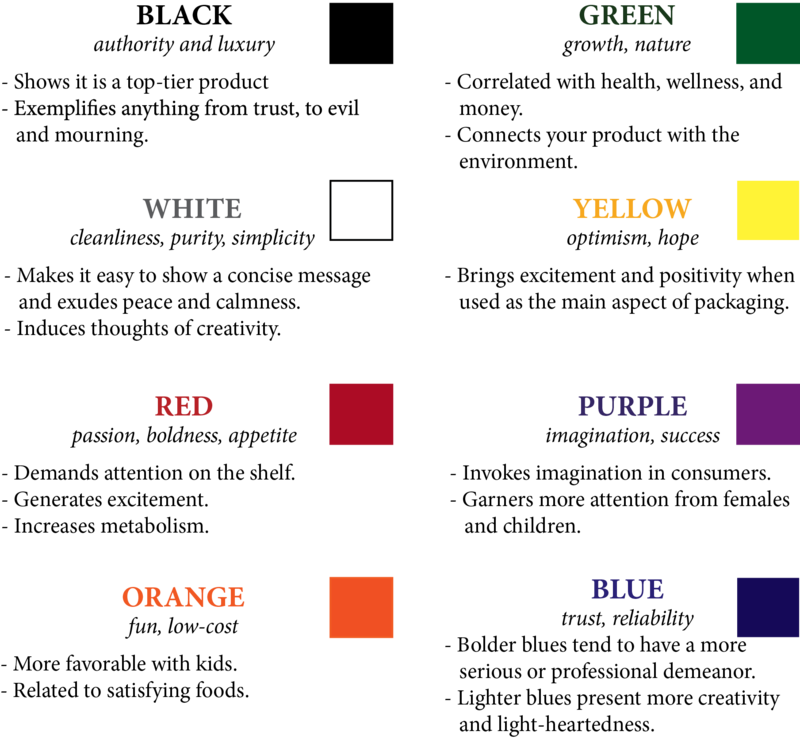 Can color affect consumer perception about a product? Industrialpackaging.com says that it very well may. While packaging for similar products can vary significantly, a lot of time and thought goes into the choices made by designers. As you look to rebrand or change packaging design be sure to choose a color that will appeal to your target market/consumer. Industrialpackaging.com does a great job breaking down a few major colors (black, white, red, orange, green, yellow, purple, blue) and what they represent about a product. Color appeal and what it can say about a product does change as culture changes and thus may require more research when selling internationally. For example, the article states that red represents, “passion and boldness (and appetite! ).” However, in Chinese culture red represents happiness and luck and is not allowed at funerals. Similarly, according to this article white represents, “cleanliness, purity, and simplicity.” Yet, in Japanese culture white carnations are used for funerals and associated with mourning. This is a great article to reference while thinking about packaging and design. Knowing what your color says to consumers while sitting on a shelf is very powerful.